Scott Brash, born in Scotland, was only seven years old when his father bought a pony for him and his sister. This inspired him to start show jumping at the tender age of ten. Winning the Team Gold at the Olympic Games in London is the most memorable moment in Scott’s career so far. 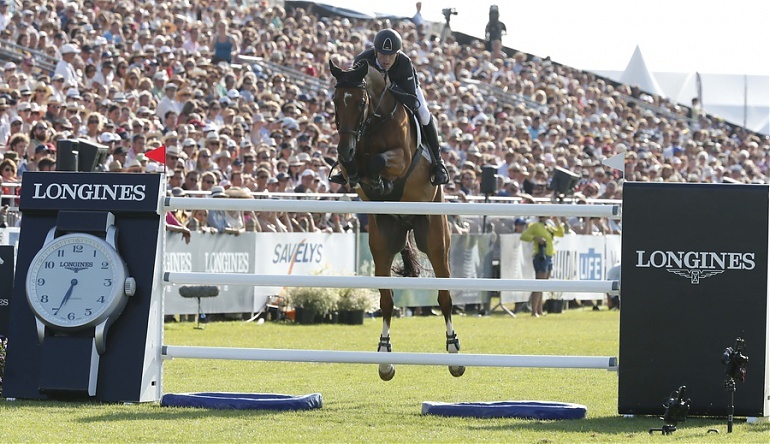 The best horse during his career is Hello Sanctos, his Team Gold medal horse at the London Olympics. Scott describes GCT as “great competitions in fantastic venues”. In 2013, Scott won both the final LGCT Grand Prix of the season and the Championship all in one go, and on his 28th birthday. In 2014, Scott became the first rider ever to win three LGCT Grand Prix in the same season. He admits it is difficult to name one very influential person in his life, because there are so many riders he looks up to for different reasons, but Scott’s motto is to never give up. Scott was awarded an MBE (Member of the Order of the British Empire) by Her Majesty the Queen of England following his 2012 London Olympic Gold medal.